Download SubHunt (1330 kb) and expand the file to your home directory (cd ~). Start the game with "SubHunt.sh". If you do not have Kylix installed or download .so files before: Download .so files (Expand the file to your home directory (cd ~). 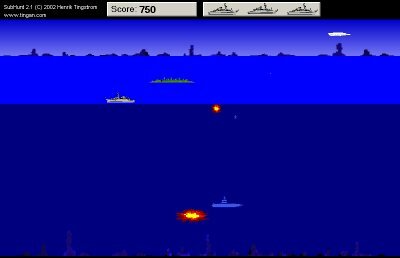 Hit submarines with depth charges and shoot down airplanes.